If you’ve ever found yourself peeking through your eyes at a show, watching and waiting for the next tense twist in a tale to unfurl, it’s a conclusion that’ll come as no surprise to you: watching a live theatre performance can make your heartbeat synchronise with that of your fellow audience members – even complete strangers – a new study suggests. In new research conducted by neuroscientists from University College London in association with Encore Tickets, the heart rates and skin response of selected audience members were monitored at a live theatre performance of Dreamgirls, the Tony and Olivier award winning musical currently playing at the Savoy Theatre. The findings suggested that, as well as responding emotionally to the performance as individuals, the audience actually responded in unison through their heart beats, with their pulses speeding up and slowing down at the same rate as each other. The study also claims that when an environment makes people synchronise their bodies with each other, such as a theatre auditorium, it can cause them to bond and in turn like each other more. This suggests that going to the theatre can connect individuals on a deeper level, enhancing social bonds between people more powerfully than previously thought. This follows the researchers’ previous beliefs that experiencing a live theatre performance could stimulate your cardiovascular system to the same extent as a 28 minute workout. Dr Joseph Devlin, Head of Experimental Psychology at University College London, says: “Usually, a group of individuals will each have their own heart rates and rhythms, with little relationship to each other. But during experiences with heightened levels of emotion, people’s heart beats can become synchronised, which in itself is astounding. Research shows that romantic couples and highly effective teammates synchronise their hearts so that they beat in time with each other. Their coordination has been linked to team performance, trust, empathy and liking of each other. This suggests that the unified response seen during the live theatre performance can help to break down social differences and bring people together. 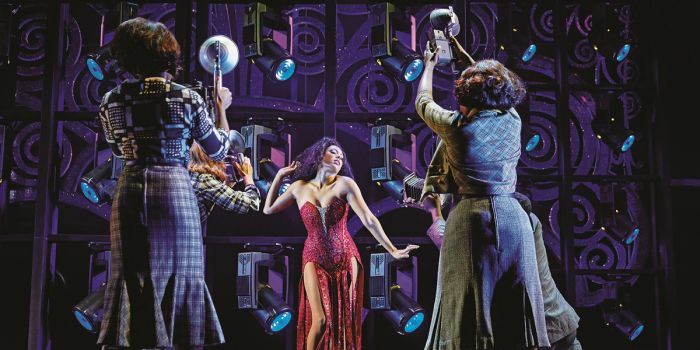 The UK and West End premiere production of the iconic Tony Award®-winning musical Dreamgirls is currently booking at the Savoy Theatre until 2 June 2018. You can book Dreamgirls tickets here.